CARFAX CERTIFIED! ONLY 25K MILES! $5,515 IN OPTIONS! LIKE NEW! WARRANTY! WE CAN DELIVER THIS MERCEDES-BENZ ML350 4MATIC TO ANY DRIVEWAY IN THE COUNTRY! VISIT OUR WEBSITE AT WWW.SHOPRIGHTCHOICE.COM TO SEE 93 PHOTOS, THE FREE CARFAX, AND MORE INFO ON THIS LIKE-NEW ML350! 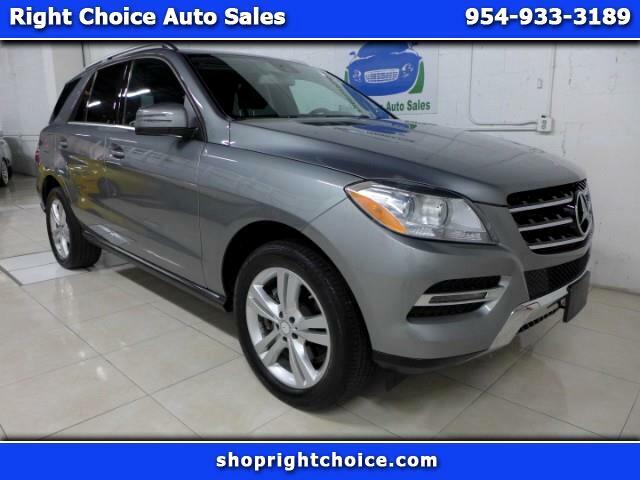 THIS 2014 ML350 4MATIC HAS IT ALL! IT'S CARFAX CERTIFIED WELL MAINTAINED, HAS ONLY 25K MILES, HAS THE OPTIONS YOU WANT, IT'S ALL-WHEEL DRIVE, LIKE NEW, AND IS PRICED $4,869 BELOW THE KELLEY BLUE BOOK VALUE! DON'T MISS THIS DEAL.